In recent years there has been a marked movement away from institutional care for disabled, elderly and infirm people in order that they can benefit from and be a benefit to the local community. However, outside assistance or community care is required to help people who cannot look after themselves independently, to lead successful lives within their communities. 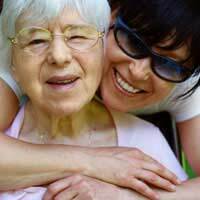 A local authority has a legal duty to carry out a care assessment for anyone who might need community care services and to decide whether their needs call for the provision of any assistance. It also has a duty to notify health and housing authorities and invite them to take part in the assessment where it appears there may be a need for the provision of their services. In addition, if any disabled person or their carer requests a care assessment, the local authority is obliged to carry one out. Care workers to visit a person’s home to provide personal care that may include washing, dressing, toileting, shopping, housework. Provision of meals on wheels. Adaptations to the home and provision of specialist equipment. However, each local authority has its own ‘eligibility criteria’ which vary a lot. Hence if you live in one area, a specific service may be deemed necessary and in another it may not. The local authority provides grab rails for the bathroom and toilet. A voluntary organisation delivers meals on wheels. A charity offer a place in a day centre. A private care agency supply a daily care worker. Who Pays for Community Care? After a person’s needs have been assessed, there will also be an assessment of their financial situation. As a result, the care plan may be paid in total by the local authority or by the individual needing the care. Equally, the costs may be shared between the local authority and the individual. The local authority may make payments directly to the care provider or an individual may have the choice to have ‘Direct Payments’ where they then pay the care provider. If the assessed needs are for medical care, it is provided without charge by the health authority. With regard to care for the elderly, the manner in which their financial contribution is assessed depends on where they live; in Scotland, the elderly are not required to contribute to their care costs whatever their income.